Q How does the expansion of Singapore's transportation network affect housing prices? How did the announcement, construction and opening of Downtown Line 2 affect resale HDB prices? A With the continued growth of Singapore's population, public housing projects have been expanding beyond the central area. Today, there are 26 town developments and numerous urban and suburban business locations across the island. This changing geographical spread of population means that transport connectivity is increasingly important. For example, from 2010 to 2015, the annualised average daily public transport ridership grew by 5.2 per cent, while the annualised population growth increased by a mere 1.8 per cent. 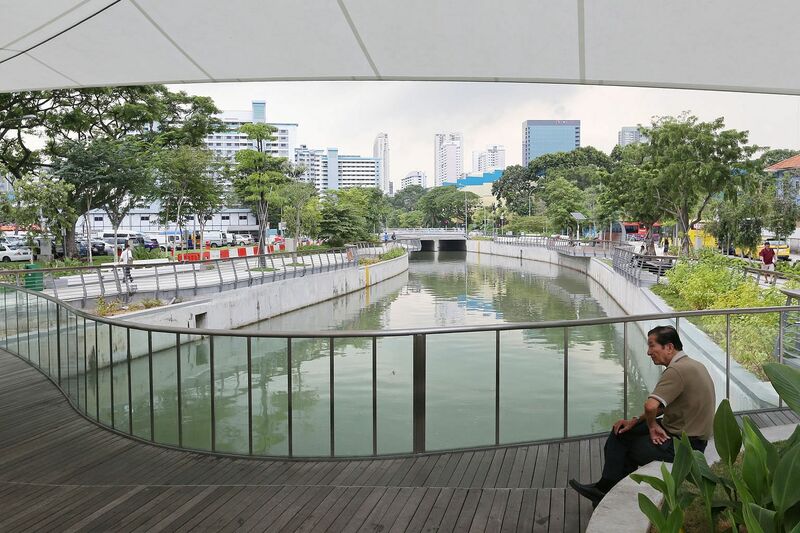 This increasing connectivity is part of the Land Transport Master Plan 2013 - to have eight in 10 homes within a 10-minute walk of an MRT station by 2030. The opening of the Downtown Line 3 (DTL3) enhances connectivity to downtown Singapore for both the north-west and eastern regions, being the longest stretch of that line. Commuters and businesses can look forward to the end of construction noise and dust, as well as the convenience and benefits of faster travel time and better accessibility with the opening. Homes near train stations enjoy premiums. A study of the Dutch housing market found that proximity to a railway station had a positive effect - averaging about 25 per cent - on housing prices. And National University of Singapore (NUS) economists Eric Fesselmeyer and Liu Haoming found that resale Housing Board (HDB) flats near the East-West Line or North-East Line are priced 2.2 per cent higher relative to other comparable flats. Although there are positive gains from completed MRT lines, there are also other economic effects before the lines are opened. For one, construction noise and dust impose costs on residents who are otherwise uninvolved with the project - a classic example of what economists term a negative externality. We also need to consider the possibility of announcement effects. In other cities like Chicago and Hong Kong, the announcement of new train lines resulted in a positive impact on housing prices in cities. How has the announcement of new lines affected property prices in Singapore? We examined 440,000 resale HDB flat transactions from January 2000 to June last year to examine how connectivity affected housing prices during the announcement, construction and completion of Downtown Line 2 (DTL2). Connectivity is calculated by the distance between the property and the nearest MRT station. We categorised housing transactions data into (i) not connected, (ii) connected to one DTL2 station only and (iii) others. We then separated the data according to the announcement date, construction period and opening date of DTL2. We found that there were positive effects of network expansion on nearby public housing resale prices, even during the announcement and construction phases. The announcement of DTL2 spurred an average initial increase in nearby resale prices by 1.8 per cent for houses within a 1.5km radius from the MRT station and 1.9 per cent for those located within a 1km radius. Average housing resale prices continued to increase during the construction period by 2.4 per cent for flats within 1.5km of a station and 3 per cent for those within 1 km. As DTL2 opened, the average housing resale prices surged by 2.8 per cent for those within 1.5km of a station and 7 per cent for those within 1km. Average housing resale prices increased more as distance to the MRT stations decreased. Our findings suggest that Singapore HDB buyers are forward-looking, as the positive effects of the DTL2 on housing prices occurred even before the line was opened. Even though there were no immediate benefits during the announcement and construction phases, flat buyers were still willing to accept temporary environmental disruption, with a view of possible gains when the MRT officially operates. Associate Professor Chia Ngee Choon is deputy head, department of economics, NUS, and director of Scape (Singapore Centre of Applied and Policy Economics). Hysen Lim majored in economics at NUS. This is a monthly series by the NUS department of economics. Each month, a panel will address a topical issue. If you have a burning question on economics, write to stopinion@sph.com.sg with "AskNUS" in the subject field.